...it would be Unclaimed by Erin McCole Cupp. Intrigued? You should be. This novel holds a unique place on the bookshelf that not many can live up to. In Unclaimed, Cupp manages to take a classic piece of literature, Jane Eyre, and incorporate not only sci-fi but, social justice issues such as child labor, third world poverty, and the lives of unclaimed embryos. Despite that long list, Unclaimed isn't a book of propaganda. It's a story about a girl who wants desperately to be loved and to belong in a world that overlooks her at best and abuses her at worst. 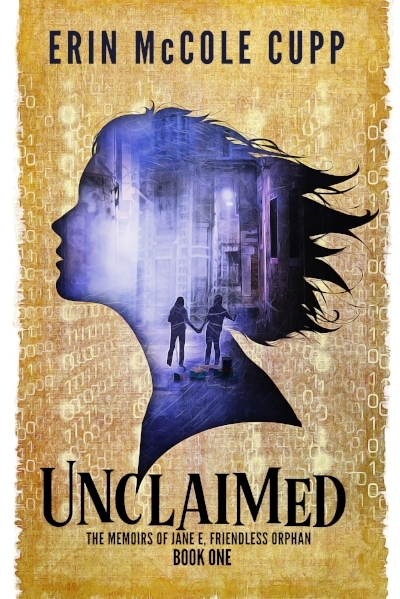 A look inside the mind and heart of a soul suffering the consequences of her ambiguous heritage, Unclaimed is a story told with love and with hope. As a reader, you'll find yourself rooting for Jane as she learns not only to survive but to thrive despite all that's against her. So...what are you waiting for? Go! Read it! It's on Amazon and everything! Come see what all the cool bloggers are reading over at Carolyn Astfalk's Open Book. You won't regret it!